A stunning racecourse and the longest single standing grandstand in the world, the Meydan Racecourse is a true beauty! Other than the regular racing track, it includes a horse racing museum, five-star hotel, golf course and a gallery. 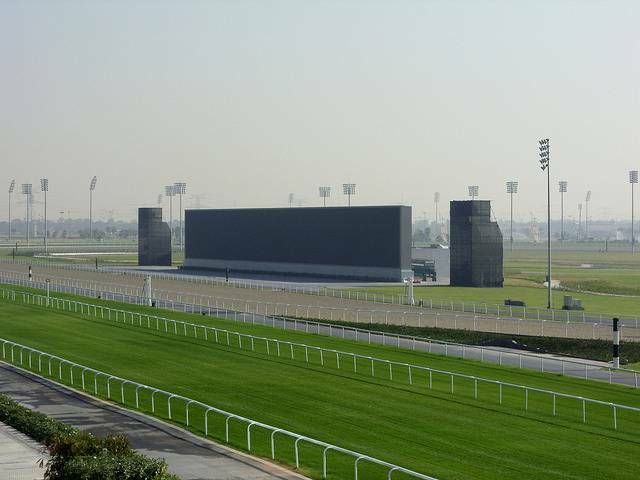 On race days, and especially the Dubai World Cup, the Racecourse is buzzing with activity. Women in magnificent hats, men is tailored suits, famed racing celebrities come together on race days and spend large amounts of money on betting. One must definitely try to visit Meydan during the Dubai World Cup, which occurs in the last week of March. The amenities at that time are exceptional, and popular singers like Janet Jackson and Eton John have performed at the platform. On purchasing a pass, visitors can gorge on unlimited food and drinks during the course of the races. The exhilarating atmosphere, sophisticated charm and of course, delicious food makes Meydan an extremely lovable attraction for tourists.